Bad weather. Urgh. It can make cycling more of a pain in the backside than usual. While a good pair of gloves and a waterproof jacket will see you able to cope with most of the colder months, on days when it’s rainy, windy or you just can’t face wrapping yourself in several layers of Lycra, the best course of action is to stay indoors. 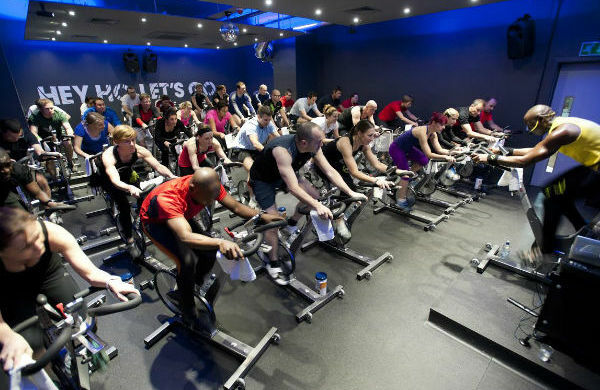 But that doesn’t have to mean you stop pedalling - there are plenty of options for indoor cycling in London. Turning a city pub into an indoor cycle studio may seem sacrilegious to most, but we’ll let them off because, as well as the spin bikes, Cyclebeat also installed a huge disco ball. Cyclebeat classes revolve around the Beatboard, which displays exactly how you are doing to encourage you to push harder. You can get competitive with other people in your class or any friends you’ve dragged along with you. And after your session you’ll get sent data on hard you worked, how fast you were pedalling, and how much energy you have used. Classes cost £15 each and first timers are offered 20 days of unlimited classes for £20. Famous for its musical cycling journeys like the Hip Hop Ride or its Disco Cycle, Boom Cycle in Shoreditch is a popular choice for those who take their music as seriously as their cycling. Most classes last 45 or 60 minutes, but they do throw in a few two-hour and three-hour classes now and again - perfect if you’re training for a longer cycle event like the London-Surrey Ride 100. Classes are priced by ‘credits’ with a standard 45 or 60 minute class taking one credit (£14) and longer classes taking two or three credits. Indoor cycling can get pretty sweaty. So if you’re embarrassed by the puddle accumulating round your spin bike, or grossed out by the thought of 20 other sweaty cyclists being in such close proximity to you, you might like to invest in a turbo trainer. For around £60 you can turn your own bike into an indoor cycle and pedal away to you hearts content to tunes chosen by you. 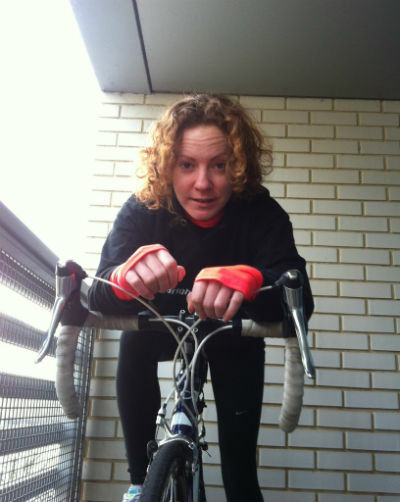 Instead of a spin instructor shouting at you or the pre-set workouts of a gym exercise bike to push you that little bit harder, download a podcast workout such as Chrissie Wellington’s Ride Harder from Audiofuel. There’s a few days each year when even the most hardened of outdoor exercise purists will think that maybe heading indoors for their workout isn’t such a bad idea. In the past couple of years a string of low-cost gyms have popped up across London offering not only cheaper fees but no strings attached, contractless membership periods. Fitness 4 Less offers day passes for £7, weekend passes for £10 or monthly membership from £15.99 a month. You’ll be free to hop on a stationary bike or sign up to a spin classes whatever the weather. Find more ways to get fit in London. Laura Fountain is a writer and running coach living in London. She’s run 15 marathons, a couple of ultra marathons and a few triathlons, but not that long ago she couldn't run 400 meters. She's the author of two books 'The Lazy Runner' and 'Tricurious', and the blog Lazy Girl Running. Laura is a qualified running coach and personal trainer, and uses her experience to help beginner runners work towards their goals.